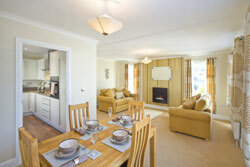 At Homeseeker Homes we understand how important choice is for our customers. That’s why we offer a wide range of attractive and elegant park homes, each adaptable to suit individual tastes and needs and each offering a host of optional extras. Our service to customers is second to none. We know that the move to park living is a major decision for our customers and our whole team is dedicated to guiding you through the process, and if you wish, we will help you choose a park. 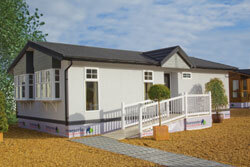 Homeseeker is one of the UK’s pre-eminent manufacturers of park homes. One or more of our models can be found on almost every park. The Langdale Plus, for example, is an acknowledged classic in the industry combining style, practicality and remarkable value for money.